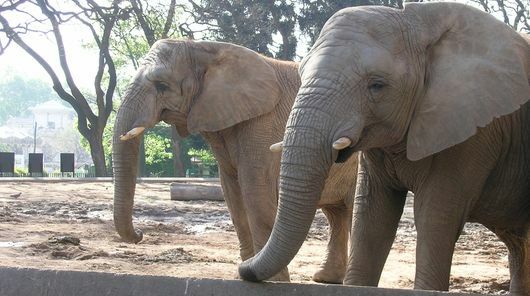 The Buenos Aires Zoo is spectacularly charming for anyone with an afternoon to spare. 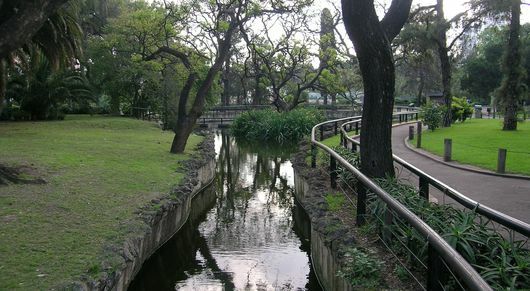 Located in the heart of Palermo off the Plaza Italia subway stop, the zoo spans the distance between Avenidas Las Heras and Libertador. Home to over 350 species and known for some of its exotic breeding, the zoo is the perfect place for families, a romantic date or an afternoon alone. On sunny weekends this attraction is packed full of children, which isn’t always entirely different from the weekdays, when many school field trips attend. Nevertheless, the best time to visit the zoo is on a sunny weekday afternoon, when you can lounge in front of the white tiger enclosure or elephant house with few others peering over your shoulder. The zoo’s entrance is located on the corner of Avenida Las Heras and Avenida Sarmiento. Cost varies depending on what you want to see and how much you want to spend. General Admission (Entrada General) gives you access to most of the zoo. However, there are several exhibits requiring the more advanced pass (Pasaporte), which gives you access to exhibits such as the Aquarium, Reptiles and Rainforest, as well as the ‘Dragon House’ and a boat ride on the lagoon. The General pass shouldn’t be overlooked however, as the majority of the zoo is indeed found within the General layout. Meanwhile, the Aquarium has penguins with both fresh and saltwater fish (including piranhas) in large tanks and the reptile area is eerily captivating (especially for the boys). However, if after purchasing the general pass and you find yourself thinking that the Rainforest exhibit looks too good to pass up, a few pesos extra at the entrance to each additional exhibit will grant you entry. 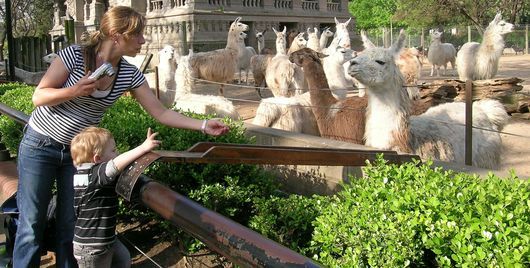 The entrance area is also an excellent chance to buy some animal food (Comidas Animales) – throughout your journey you’re welcome to feed elephants, alpacas, monkeys, camels, deer, zebras and other feed friendly animals. The food bags are affordable, as are the larger bins. While you’ll find yourself wondering how it’s possible that all of these different animals eat the same food (maybe save yourself some cash and try it out on the kids… just kidding! ), it’s a wonderful way to interact and gain the attention of the more commonly aloof critters. Some of the animals will even play up to the food, with elephants raising their trunks and monkeys motioning for you to throw more. 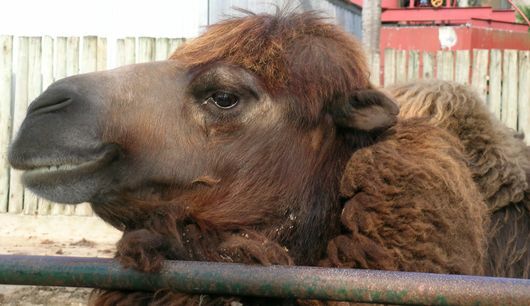 Some of the enclosures are so close to the animals themselves that sneaking in some petting (while you’re feeding the camel, for instance) isn’t difficult. Naturally, it’s important to be socially conscious of the safety of the animals and yourself, so be mindful when you’re petting the zebra. If the kids are complaining that you’ve run out of food, then there are stations located throughout the Zoo where more can be purchased. Also, if the Comidas Animales didn’t go over so well as the kids’ snack, then there are stands where popsicles and other treats can be found. However, like most zoos, these are extremely overpriced… so, if you go over to the sides of the zoo (by the fence) you will often find street vendors that will sell you a larger variety at half the price, right through the gaps in the fence! In Buenos Aires, where there’s a will, there’s a way . The layout of the zoo is simple so you don’t have to worry about missing anything. Posted maps along the way indicate your position, but by following the main path you’ll surely see it all. If you’ve taken this zoo-pert’s advice and headed RIGHT upon entry, your first stop will be the polar bears with their large swimming pool and the Aquarium, should you choose to view it. The elephant house is enormous and the elephants seem to spend most of their time near the perimeters in hopes of catching some snacks purchased by zoo goers. Again the intimacy of the Buenos Aires zoo is spectacular and it’s breathtaking to see these amazing animals up so close. The zoo is also known for its success in breeding white tigers and these, along with the other large cats (pumas, cheetahs, jaguars and lions) are all in well built enclosures where they’re easy to spot. Each enclosure lists the animal with some basic information for those wishing to educate themselves on the wildlife. Information such as where you can find them in the wild, the types of food they eat (interestingly enough, none mention the Comidas Animales!) and other key characteristics about each inhabitant is listed. If the white tigers aren’t impressing the kids and they’re getting rambunctious, not to worry. The middle of the zoo houses a playground fully equipped with swings and slides for them to exert all that extra energy. The zoo also has two carousels located at the back and far left. The one in the rear is always running and is nearby a rest area with food. It’s a great halfway point and the perfect load off. The region dedicated to Africa is located on the left side of the zoo which again bodes spectacularly intimate views of anything you’d hope to see. This gives way to a petting zoo where at the end of your journey (you’re actually allowed to here!) to pet a family of goats, donkeys and Shetland ponies. If you haven’t had your fill by this time, take another loop. Or, if you have, you’re back at the lagoon and ready for home… Once you’re home and realize that house cat of yours isn’t exactly living up to those white tiger cubs, visit the zoo website to see what other activities and adventures the zoo has to offer. This includes information on birthdays, guided tours and other specialized events: www.zoobuenosaires.com.ar (one such specialized event at the moment is night time zoo opening, as reported on here in Buenos Aires Weekly). 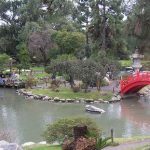 The Buenos Aires Japanese Gardens Tucked away in the Bosques de Palermo, the Japanese Garden of Buenos Aires is an oasis of calm and serenity in the middle of the busy, noisy city. Feed the fish and enjoy a cup of tea amidst the pristine setting. Costanera Sur Ecological Reserve The hustle and bustle of downtown Buenos Aires are lost in the cooling mood of the Costanera Sur Ecological Reserve, an expansive park just beyond the trendy, modern neighborhood of Puerto Madero. Palermo Hippodrome Horse Racing The 'Hipodromo Argentino' in Palermo is Argentina's main racetrack. Take in a horse race on a Monday afternoon or experience the 'Gran Premio Nacional,' the Argentine Derby once a year in mid-November. Hi, Kim! 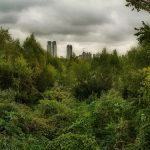 What a very interesting and beautiful post about de Bs As Zoo! I don’t know it yet, bu I will soon. Thank’s for all then information. It’s nice that zoos help animals that are almost extinct and that people can learn more about them but, as a rule, I find zoos incredibly depressing places. Hi I am from London and am coming to Argentina in about 6 months. My girlfriend and I are hoping to open a cat and dog sanctuary for sick animals. Please can you forward details to the above e-mail address. Best of luck with that project! PLease release the polar bear from this discusting zoo condtions. I really thought South American people had more compasion. 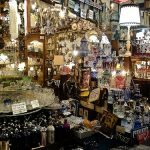 What a country is known for is how I decide where I would like to spend my money to visti. 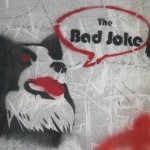 I visited the zoo in the fall of 2011. The black jaguar perched on the tree was beautiful. It was near the bear exhibit. I just got a black puppy and want to name it after the black jaguar. What was the big cat’s name? Hello Ryan, and thanks for reaching out to us. We wish we could help with your question, but the Buenos Aires zoo closed last June and started transitioning the animals out to make way for an Ecopark. We hope you find the perfect name for your new puppy!